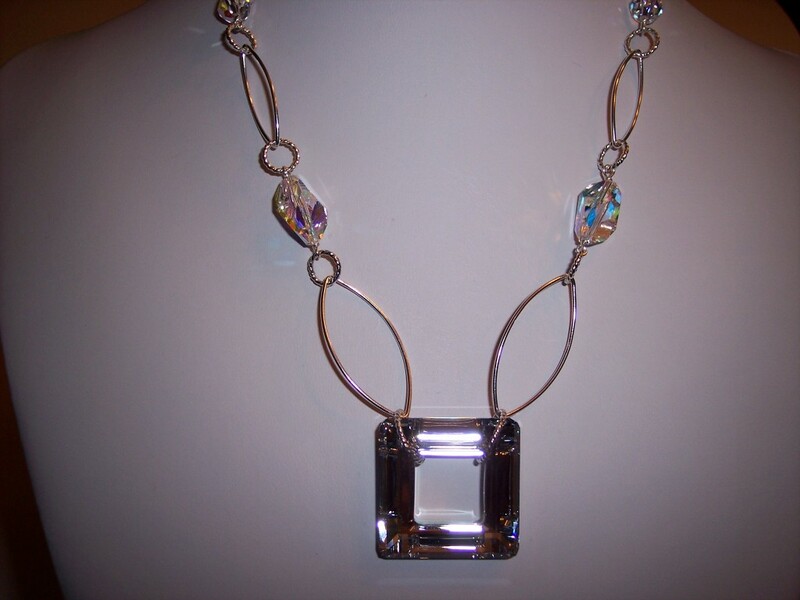 The center stone is a brilliant mirrored Swarovski Crystal – size square 30 mm. 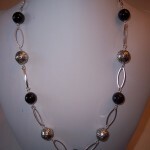 This contemporary piece is a great addition to any jewelry wardrobe. 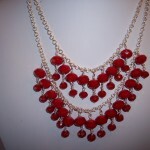 Other colors, stone sizes, and lengths available upon request. 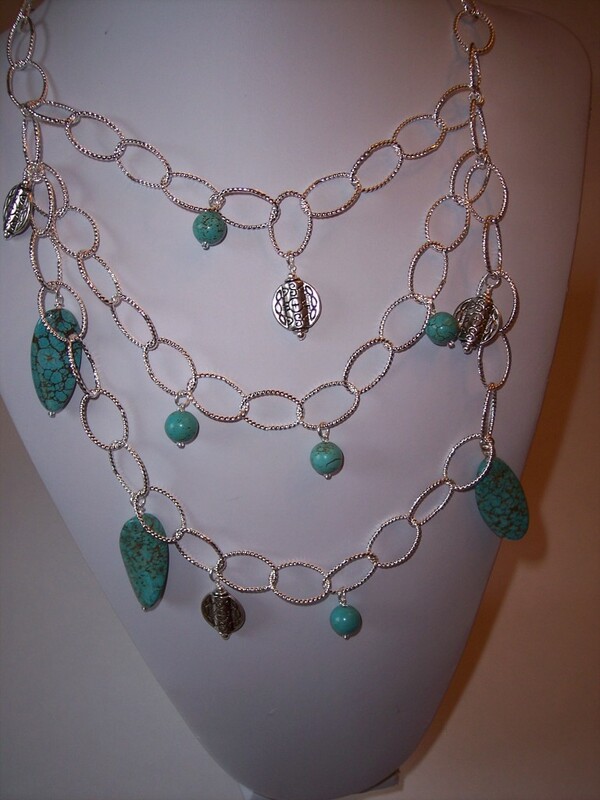 This “wow” piece is custom designed with Braided Oval shaped silver tone chain, smooth chalk Turquoise waffles and rounds with etched lead-free pewter. Silver tone lobster claw clasp. Other Length’s available upon request. 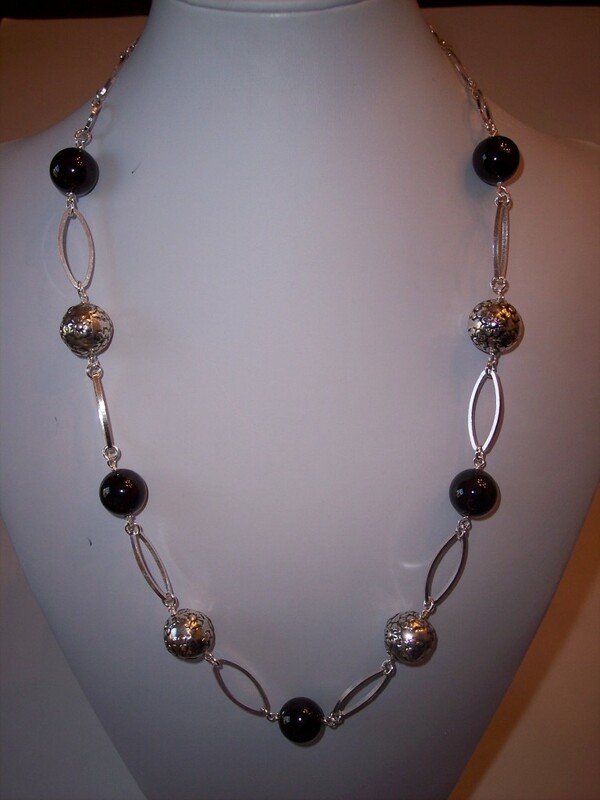 Handcrafted with smooth Garnet Semiprecious stones and daisy etched balls. Finished off with marquis shaped connectors. Length: 25″ Other lengths available upon request. 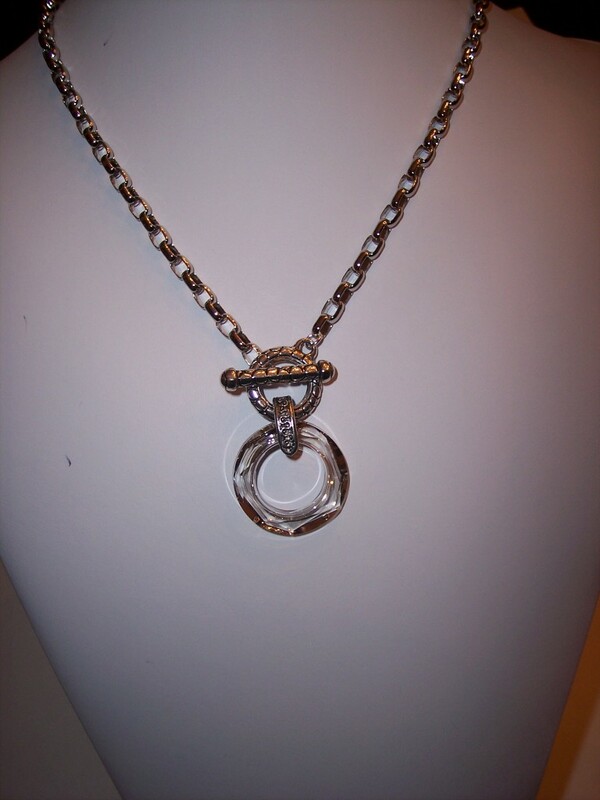 Handcrafted with a round silver-shade crystal, front toggle for easy on and off, and platinum tone Rollo chain. 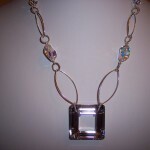 Contemporary and versatile piece. 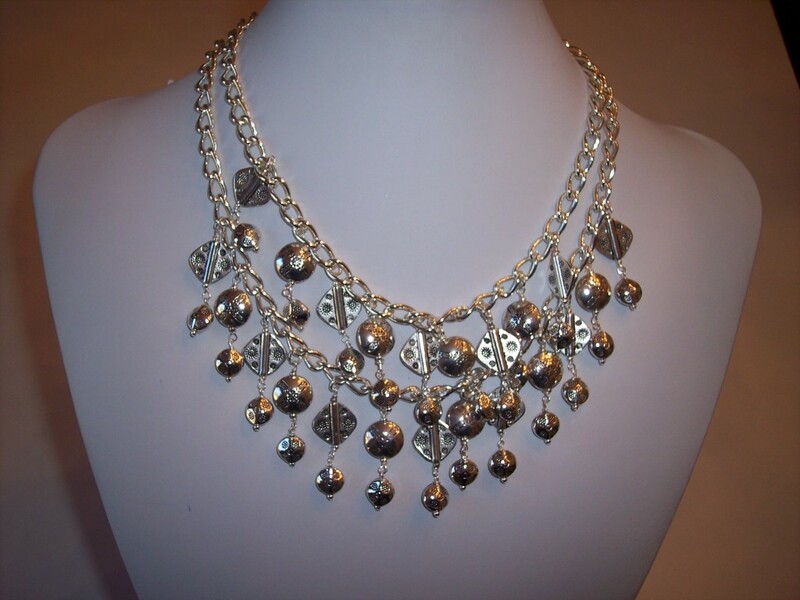 The Bibb Necklace is handcrafted with diamond shaped and puffed coin shaped etched metals. Each Bibb is a unique design. 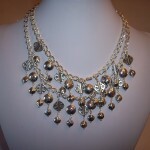 Some are crafted with a combination of stones and metals, others with various shaped metal components. 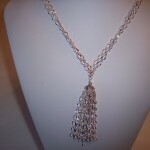 The chain is silver tone. 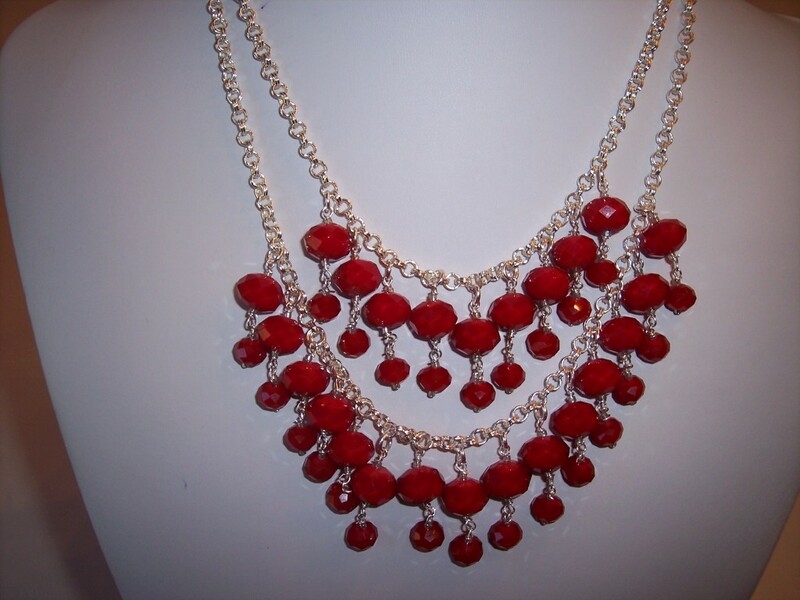 Ruby Jade Bibb Necklace on Silver Tone Rolo. Length: 17 3/4″ Other Lengths available upon request. 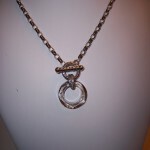 This piece is handcrafted with Figure 8 style chain. 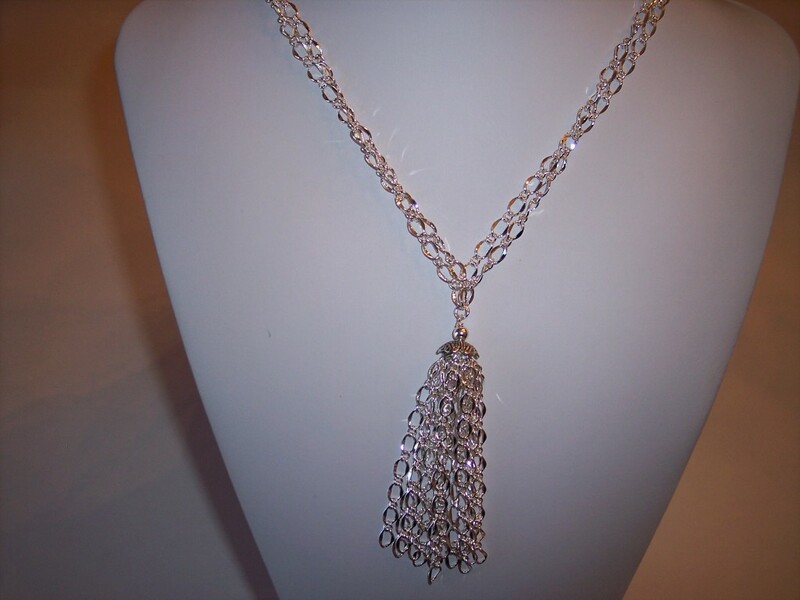 The tassel is crafted with a sterling silver beaded cap and multiple strands of Figure 8 Silver Tone Chain. Sterling Silver Toggle. Length: 33″ Other lengths available upon request. 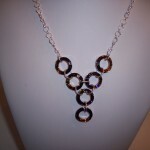 Handcrafted with Cosmic Volcano Rings. 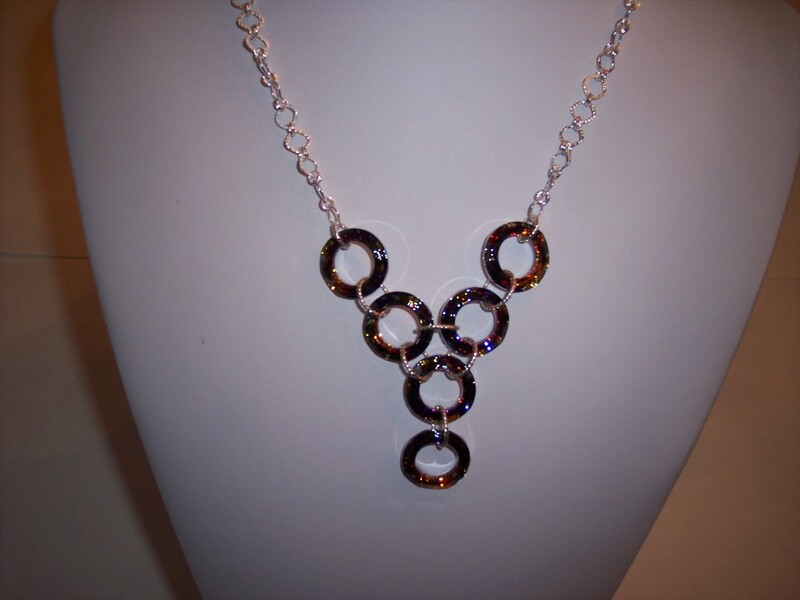 The volcano colored Swarovski Crystals are imbibed with shades of deep purple, red, blue and magenta. 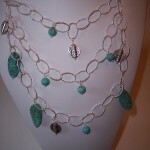 The chain is sterling silver with a sterling silver spring clasp. Length: 18″ to 20″ Other lengths available upon request.